A genuine Swiss made watch for around £250? Really...??? Looks a bit big to me.........which means you're more likely to smash it into something...........a G10 might be a better bet with user replaceable batteries and a Swiss quartz ETA action..
Well, they appear to be your basic fashion watch, built with a Chinese or German case and a mass produced swiss or asian movement. You can see the same sort of thing in any shopping centre. Probably absolutely fine as a daily beater though. Personally, at that price point I would be looking at CWC, Steinhart, Seiko, Timefactors and the like. 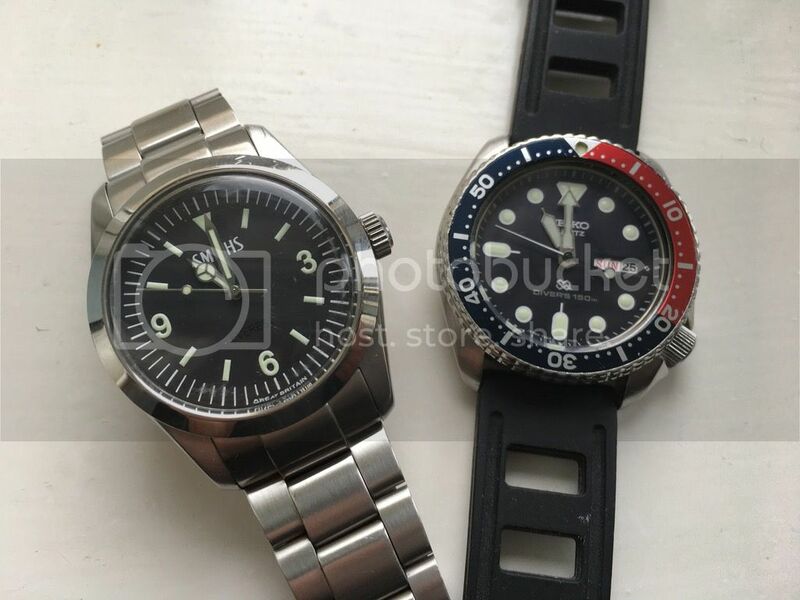 These are mine (although the Seiko is an older and larger 7548-7000). I am wearing a Seiko 5 Military mechanical auto as a replacement for my every day Seiko Divers that needs a service. Initially I was a bit cynical about the Seiko 5 however its time keeping is superb, better than 1 minute per week when worn 24/7 - Not bad for GBP55 and it is standing up to the every day knocks of the workshop and beating. The Timefactors PRS-25s and PRS-18Qs show up regularly on eBay for much less than a brand new Hanowa. Never heard of a fake Timefactors. CWC and Seiko yes, but I reckon that an internet only business out of Sheffield is too boutique to attract the fakers. My PRS-18Q off eBay was the best £120 I ever spent on a watch.